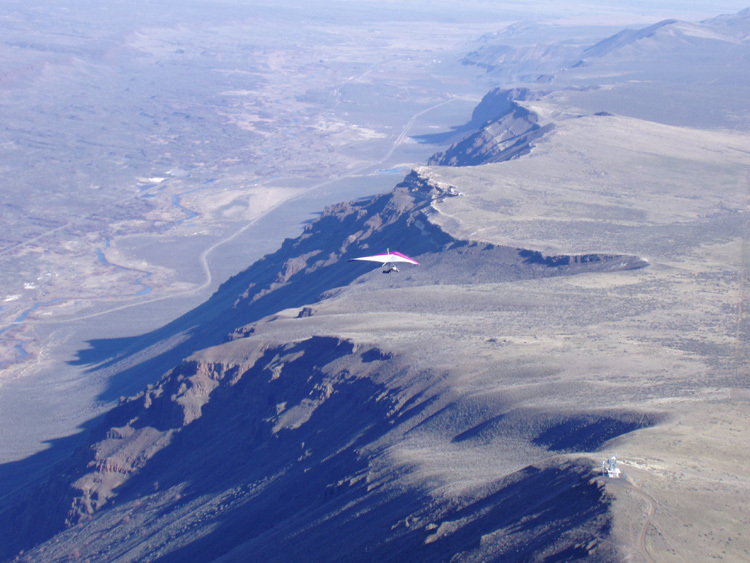 Saddle Mt., located near Mattawa, is a favorite winter ridge soaring site that works with a N-NNE wind when few other sites are flyable. It’s also common for skilled pilots who are comfortable with top landing to make several flights in a day without having to break down their glider. WARNING: THIS IS A DESERT SITE. As such, extreme mid-day air is common when thermic conditions exist. 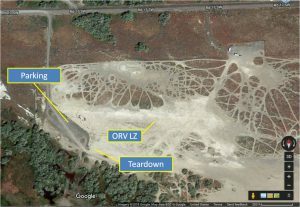 Assess the current and likely future conditions and get pre-flight advice from pilots who have flown the site before setting up and/or launching. Protocol: Insured site – USHPA membership required. Suitable for novice or higher rated pilots in appropriate conditions. Any instruction or tandem activity MUST comply with current USHPA rules. Access: 2WD, dirt and gravel public road that passes through public land and private easements. Road R is rough in places and also crosses through the BLM Saddle Mountains OHV area. Fast-moving motorcycles and offroad vehicles may be encountered at any time. 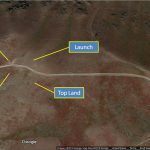 Notes: The launch / top land area is privately owned, but CBCC has a land use agreement that allows USHPA members access to the property to fly. There is a fee for this privilege; anyone who flies at Saddle is encouraged to contribute to the Saddle Mt. site fee fund. This site is usually flown as a ridge site in moderate North winds in the fall, winter and spring. It is possible to fly the site during thermic conditions and in the summer, but since this is a desert site, thermals can be sharp and strong, making the flying experience less than pleasant and potentially EXTREMELY DANGEROUS for newer pilots. 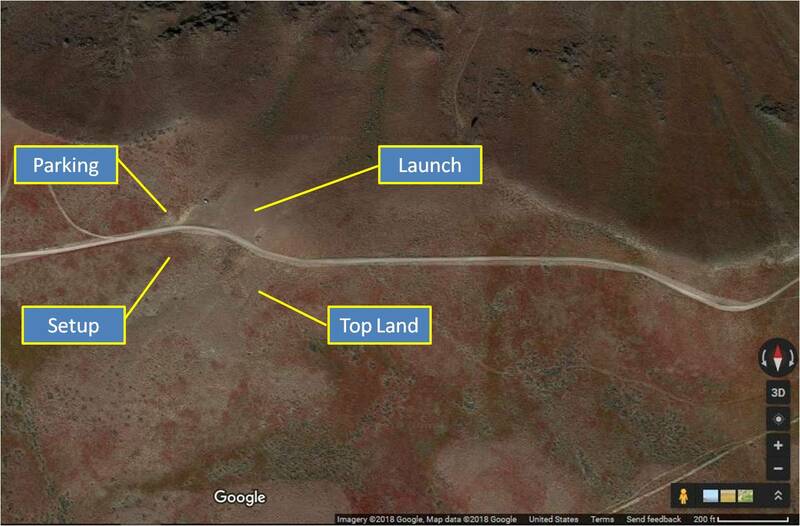 When top landing, landing south of the road behind launch with a right turn aircraft approach from east of launch is the preferred choice. Due to the geography, pilots are likely to find much cleaner air during normal ridge conditions than with a left turn approach from the west which is susceptible to rotor in most flyable conditions. It is also advisable to place temporary streamers (take them with you when you’re done) in your intended top land area as conditions behind the face of the ridge can vary substantially depending on wind strength. PLEASE PARK WEST OF LAUNCH and in or west of the noted parking area. 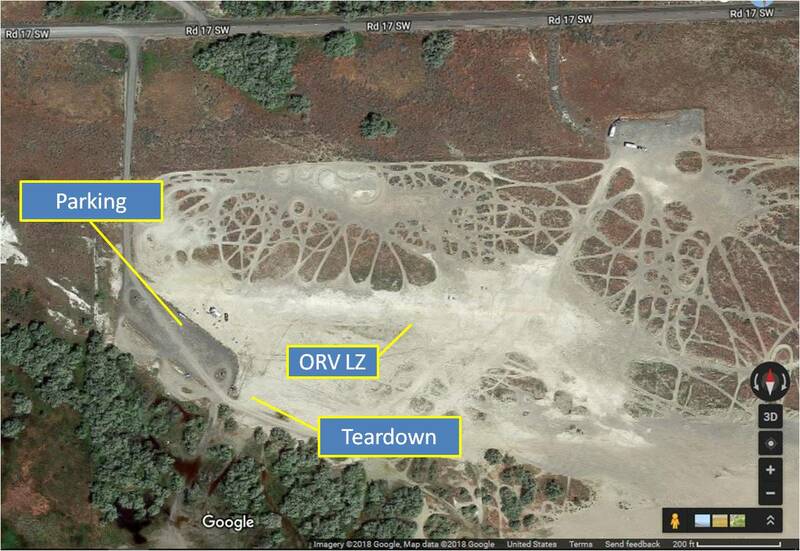 Notes: The LZ area is managed by WA State Department of Natural Resources as an ORV park. DNR has expressly requested that when we use the area as a LZ, that we NOT HANG STREAMERS FROM BUSHES, TREES, FENCE POSTS, KIOSKS etc. and that we REMOVE ALL STREAMERS at the end of the day. DNR considers streamers at the site to be trash that they need to pick up, creating extra work. PLEASE bring your own poles / wind indicators, plant them where they’re not in the way of other users, and leave the LZ cleaner than you found it! A good relationship with DNR helps us keep other sites in the Ranger District (like Chelan) open as well. When the park is open and in use by the public in its primary capacity as an ORV park, you have acres of unobstructed sand to land on. Please use the open space, land FAR AWAY from any activity and walk your wing back to the parking area. Additional Notes: Long turn-around to/from launch. Beware going cross-country to the South and West; both Hanford and the Yakima Firing Range are RESTRICTED. There are scheduled military training routes in this area. Be sure to call Whidbey Naval Air Operations at (800) 360-3050 or (360) 257-2877. Tell them you are a citizen pilot flying a hg/pg checking on scheduled flights on VR 1350 and IR 329 MTRs. Also call McChord Air Force Base Operations (253) 982-2635 for IR 329. 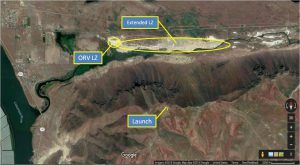 Even if there are no scheduled flights, it is possible to encounter unscheduled low altitude activity near launch. Our annual land-use fee for Saddle is $1200 due every March. CBCC writes the check, and counts on the pilots who fly Saddle to be sure we have enough funds in the account to cover it. If you fly Saddle, please participate in the ongoing “virtual fly-in” and pay a suggested entry fee of $30 (more is appreciated, of course) via PayPal, or send a check to CBCC, PO Box 1825, Morton WA 98356. Only launch within your rating and skill levels – when in doubt, don’t set up or launch.